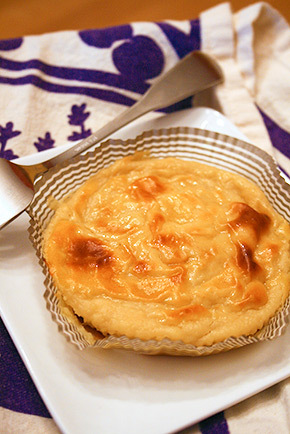 Sweet Potato Cake (we call it just "sweet potato" in Japan) is a Japanese baked treat. I always thought it was an import from the West so I was surprised to learn it originated in Japan around 1900. As you can imagine, the original recipe is very simple. 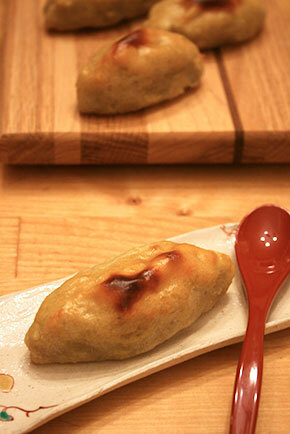 A mashed Japanese yam combined with eggs and sugar and then shaped into a small oval shape and baked in the oven. I grew up eating sweet potato cakes but I realize I have not had it in probably more than 20 years - since I left Japan. Recently I saw a Japanese yam at the local market and I thought I would make this nostalgic sweet from my childhood. 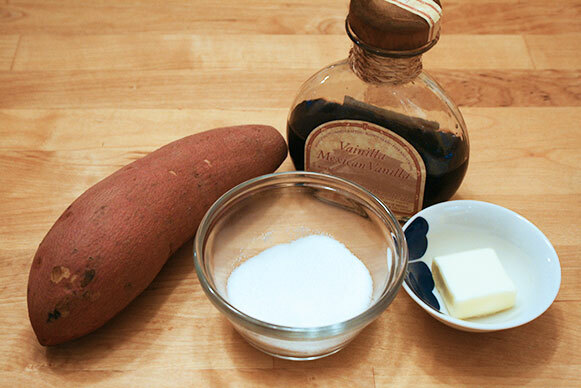 Japanese yams are much sweeter than the American version (yam is sweeter than sweet potato) so please adjust the amount of sugar depends on the kind of yam you use. 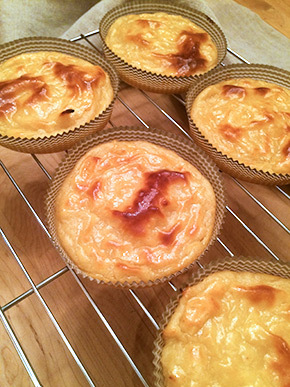 I prepared two versions; old fashioned and soft and silky sweet potato. Bake, steam or microwave yam. 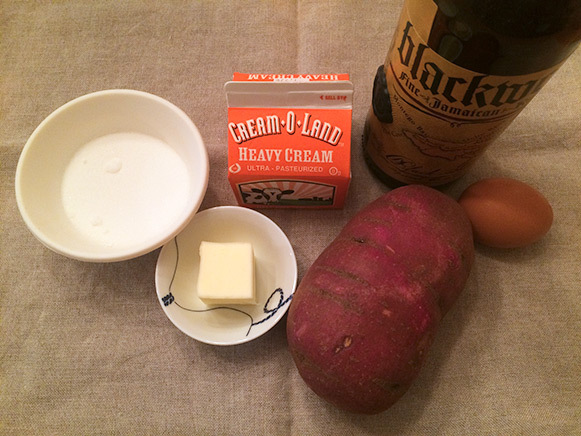 Bake: Follow the directions here (perfect baked sweet potatoes). Steam: Cut the yams into 4-5 pieces crosswise and then soak them in cold water for 10 minutes. Place them in a steamer and steam them until fork tender. 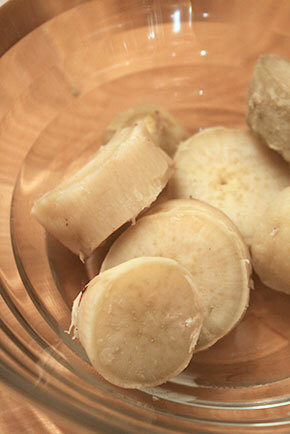 Microwave: Cut the yams into 4-5 pieces crosswise and then soak in cold water for 10 minutes. 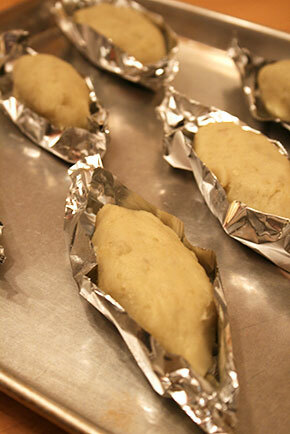 Place them in a microwavable bowl and add two tablespoons water and wrap tightly. Microwave on high for two minutes and check. Then heat one minute at a time until it's fork tender. While yam is still hot, remove skin and mash them. Add sugar and butter and mix very well. Divide them into 6 equal portion. 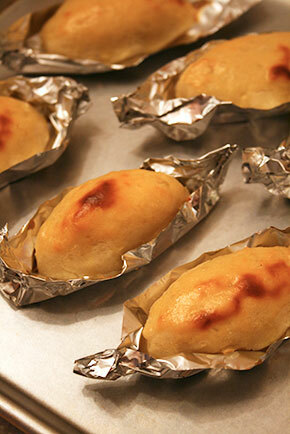 Use your hand to form oblong shape and place it on aluminum muffin cup paper or foil. Place them on a baking sheet. Whisk together 1 egg yolk and 1 tablespoon of water to make egg wash. Use a pastry brush and gently apply egg wash on the top of each sweet potato. Bake them for 10 - 15 minutes until they are golden brown. 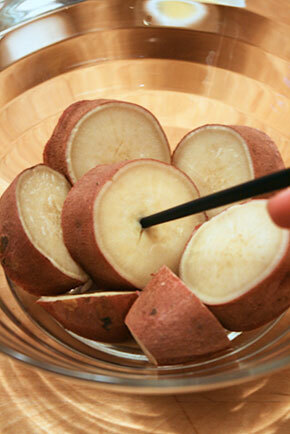 Steam: Cut the yam into 4-5 pieces crosswise and then soak the pieces in cold water for 10 minutes. Place them in a steamer and steam them until fork tender. 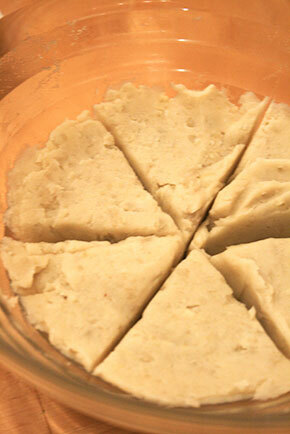 Microwave: Cut the yam into 4-5 pieces crosswise and then soak the pieces in cold water for 10 minutes. 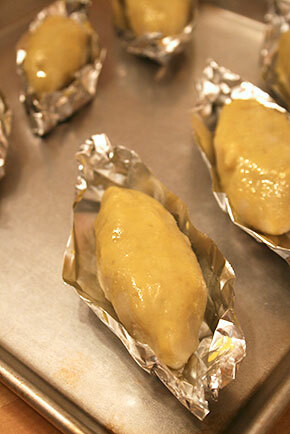 Place them in a microwavable bowl and add two tablespoons water and wrap tightly. Microwave on high for two minutes and check. Then heat one minute at a time until it's fork tender. 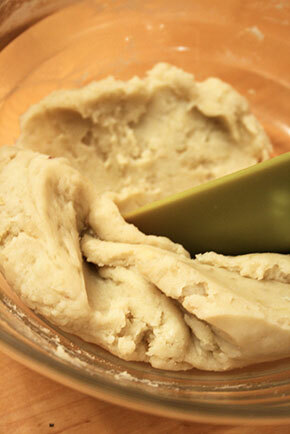 While the yam is still hot, remove the skin and mash them with a potato ricer for a silky and smooth texture. 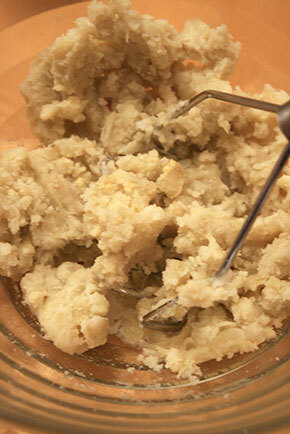 In a sauce pan, add the mashed yam, sugar, cream and butter then mix well under low heat. 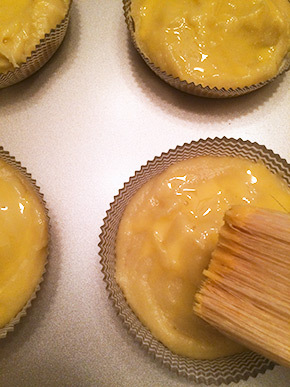 Remove from heat and add brandy (or rum) and egg yolk and mix until everything is incorporated. It should look like creamy mashed potatoes. Divide them into a muffin tin lined with paper. (I used a large shallow muffin-top paper. It is stronger than regular muffin paper so you can just place them directly on the baking sheet). 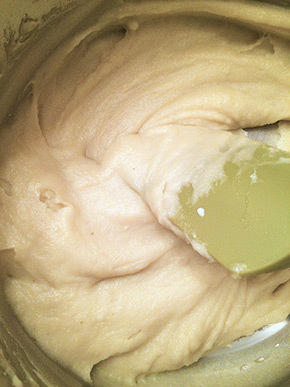 Whisk together 1 egg yolk and 1 tablespoon of water to make egg wash. Use a pastry brush and gently apply egg wash on the top of each sweet potato mixture.